You're going to love antiquing with us! Just a Peek at some of our Cool Stuff! All pictures current as of 01/16/2019. When you hear the phrase “harvest table” it brings to mind fall, pumpkins, cornucopias, Pilgrims, tables laden with seasonal foods, and a large gathering of people. In America the harvest table started with the feasts Pilgrims planned as a fall harvest celebration. These feasts are most recognized as the roots of the Thanksgiving holiday. 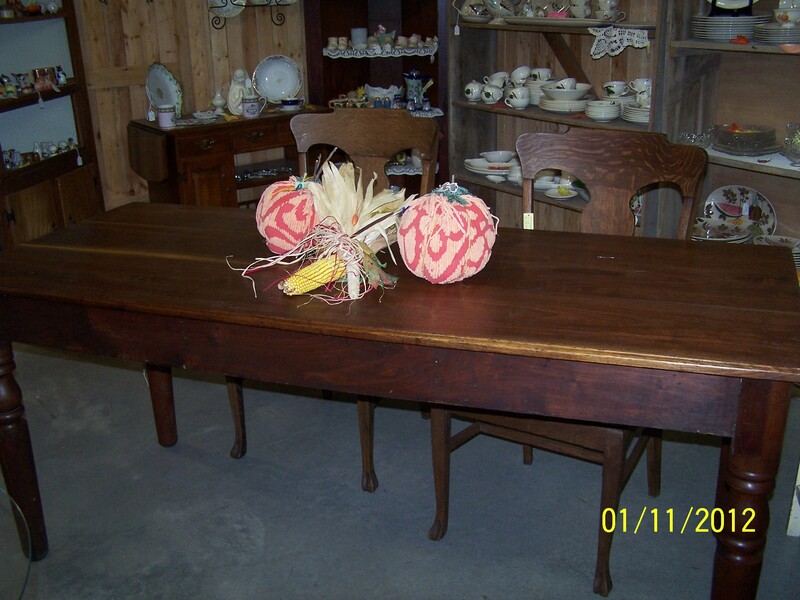 By definition a harvest table as a narrow, long table with hinged drop leaves. The design style has changed through the years, but the table is usually at least 6 feet in length. This entry was posted in antique furniture, Antique Tips, harvest, New Inventory! by fkantiques. Bookmark the permalink.